Understanding the importance of quality and reliability Hauhinco and the people at QE innovations have decades of experience, delivering in excess of 20 pump stations in Australia. Hauhinco products can and have been engineered on a skid, on a sled, on mobile stations and also for longwall monorail systems. 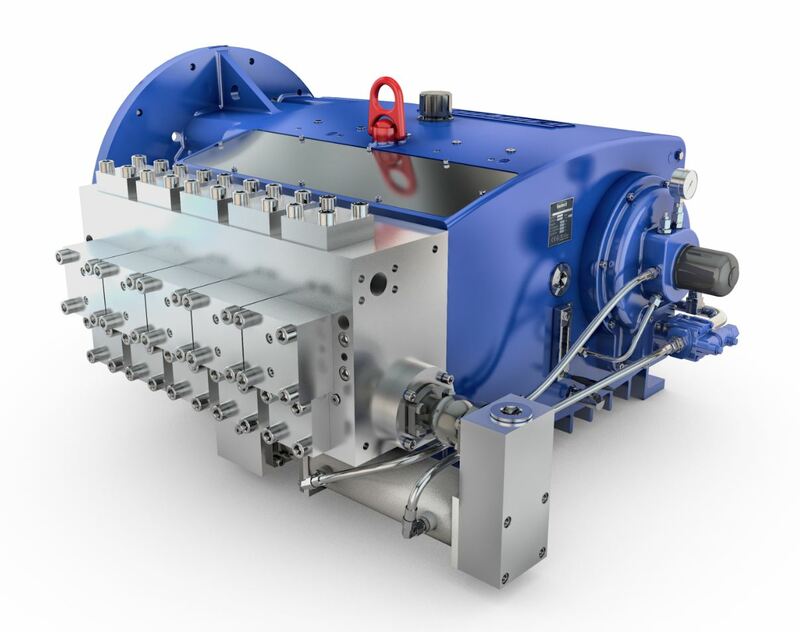 Recognised for hydraulic expertise, Hauhinco and QE Innovations tailor the design of waterhydraulic systems specific to the needs of each mine. Hauhinco high pressure and spraying station systems ensure unrivalled safety and reliability. 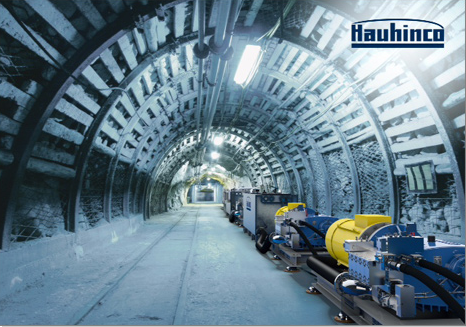 Hauhinco High Pressure Systems for longwall hydraulics include EHP-3K or EHP-5K High Pressure Pumps with electric motors, emulsion tanks, High-Pressure and return filters, piping, hydraulic accumulators, control modules, explosion-proof measurement instruments such as flow meters and provision for data transfer and visualization. Hauhinco Water Spray Systems are developed to supply shearer water sprays for dust suppression, coal plow water sprays for dust suppression and cooling systems of drive motors. The systems consist of EHP-3K or EHP-5K High Pressure Pumps with an electric motor, a water tank, a filter unit as well as the necessary piping. These can be integrated into an existing supply line if necessary. 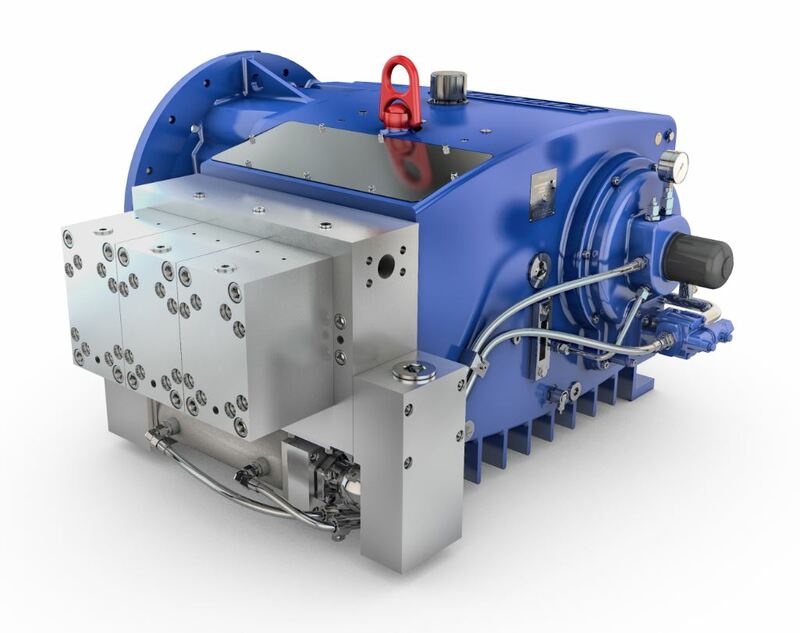 Further, as a positive displacement pump the Hauhinco achieves lower energy running costs when compared to centrifugal options. In addition to our proven decentralized pump systems, we offer mobile pump systems that can travel along the longwall. Depending on the requirements, these are available as suspended or upright versions, featuring compact design in a frame or mounted on a carriage. Hauhinco pumps are found throughout heavy industry in Aluminium refineries, steel plants and any application that requires high volumes of high pressure fluid or where a fire risk of using conventional oils exists.